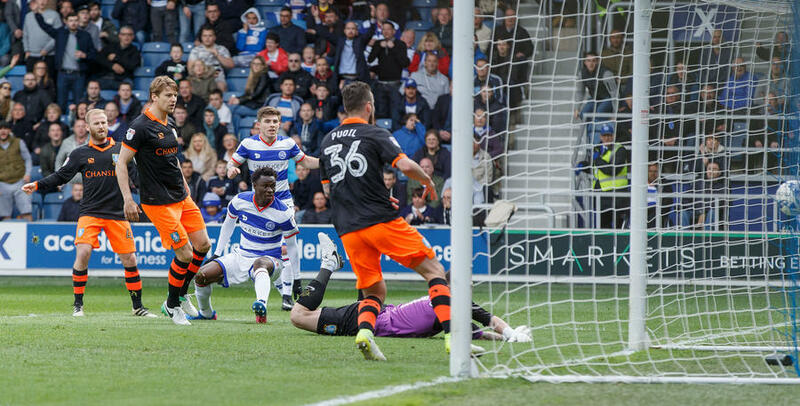 IDRISSA Sylla’s tenth goal of the campaign couldn’t prevent Rangers from falling to a fifth-straight Sky Bet Championship defeat, as promotion-chasing Sheffield Wednesday left Loftus Road with a 2-1 victory. 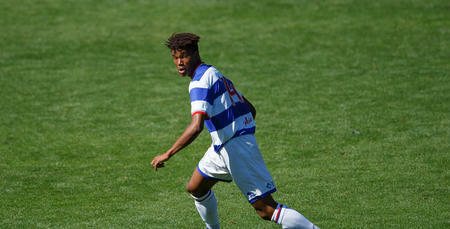 Sylla finished off a tidy home move in the 21st minute to put Ian Holloway’s Hoops on terms. But goals either side of that strike would ultimately prove decisive, with Adam Reach (12 minutes) and Daniel Pudil (31) on target to hand the Owls an important win in their bid to reach the end-of-season play-offs. After a slow first-half performance, QPR did improve after half-time. However, that being said, Wednesday goalkeeper Keiren Westwood still probably wasn’t tested enough in the second half, as the visitors hung on for their first W12 success in nine games. Like in Friday's 1-0 defeat at Bristol City, R's boss Holloway once again made five changes to his starting XI for the visit of Carlos Carvalhal's Sheffield Wednesday. In came academy product Michael Petrasso for his first senior start of the campaign, along with Jamie Mackie, James Perch, Jack Robinson and Sylla. Of those who started at Ashton Gate, injury ruled out skipper Nedum Onuoha (concussion) and Darnell Furlong, while Yeni Ngbakoto, Matt Smith and Pawel Wszolek dropped down to the bench. Rangers, in a 3-5-2 formation, lined up as: Alex Smithies; Perch, Joel Lynch, Jake Bidwell; Petrasso, Massimo Luongo, Ryan Manning, Luke Freeman, Robinson; Mackie, Sylla. Although chances were at a real premium in the opening stanza, the visitors had the better of the possession. And it was Wednesday who duly took the lead with the first opportunity of the contest in the 12th minute. Pudil’s left-flank centre wasn’t dealt with by Rangers’ defence and, when the ball cannoned off Perch and into the direction of Reach, the Owls midfielder arrowed a low effort past Smithies from 12 yards. An early blow for the R’s but, despite their slow start, Holloway’s charges levelled matters following a neat passing move nine minutes later. After patient build-up play, Freeman’s clever ball into the box subsequently saw Manning and Mackie combine – the latter bundling the ball into the path of Sylla, who took a touch before finishing with aplomb from an acute angle. Parity was short-lived, however, after the visitors regained the lead in the 31st minute. Ross Wallace’s lovely free-kick delivery from the right first saw Jordan Rhodes force a stunning reaction save from Smithies – which deserved better than the goalkeeper having to pick the ball out of his own net just seconds later, as Pudil followed up to head home. In truth, that was no more than Wednesday deserved and, eight minutes from half-time, they threatened a third. Fortunately, for Rangers at least, Robinson was on hand to produce a last-ditch tackle to thwart Wallace. 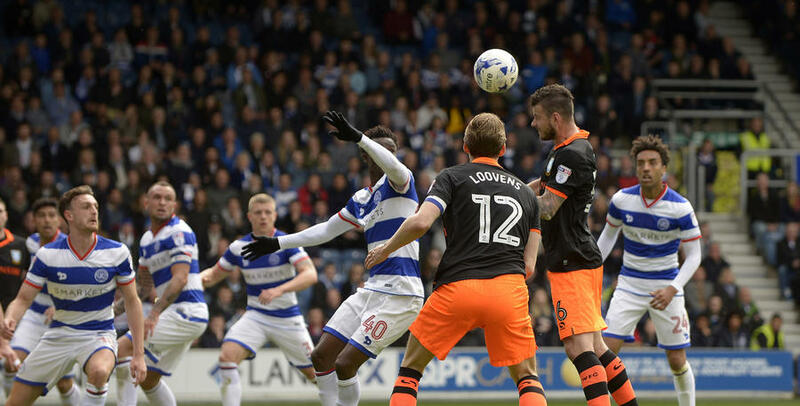 The R’s did go close to equalising again in the 40th minute, though Westwood fashioned a fine stop to tip over Sylla’s header, following Robinson’s long throw. And Sylla’s knock-down from Freeman’s flighted free-kick sparked a goalmouth scramble a minute before the break. However, Wednesday were able to hang on to their 2-1 lead going into half-time. Into the second half – and Holloway made a change going into the closing period, with Kazenga LuaLua brought on in the place of Petrasso. Rangers also spurned a glorious chance to level once more two minutes after the interval. Freeman’s free-kick eventually dropped to an unmarked Bidwell in the box, who blasted well over from 14 yards. QPR started the half with greater attacking intent but it was the visitors who were next to threaten, just short of the hour mark. Reach picked out Rhodes, but his header was too close to Smithies, who collected the ball at the second attempt. A second R’s change arrived three minutes later, with Conor Washington replacing Robinson. Efforts thereafter, from sub LuaLua and Sylla, failed to really trouble Owls custodian Westwood and, in the 66th minute, Rangers were given a let-off. The ball dropped for Barry Bannan on the edge of QPR’s box, whose thumping shot whistled just over Smithies’ crossbar. At the other end, LuaLua wasted a decent opportunity in the 72nd minute, shooting past the upright from 18 yards following Freeman’s measured pass. With the clock ticking down, Holloway used his last roll of the dice three minutes later. Smith was introduced at the expense of Manning. But it was the visitors who really should have extended their advantage 12 minutes from time. It also would have been a second of the game for Pudil who, unmarked, could only head Bannan’s right-wing corner over from 10 yards. This match was now finely poised and, following a Wednesday counter in the 82nd minute, Perch produced an outstanding block to deny sub Fernando Forestieri. The Italian looked certain to score from six yards. Up the other end, meanwhile, Smith’s 85th-minute header also looked to be heading in – following Bidwell’s hanging cross – before the ball dropped agonisingly wide of the left-hand post. Four minutes of added time, that saw Rangers press for an equaliser, were subsequently signalled. However, the R’s failed to do enough to force another levelling goal, with Bidwell’s tame effort late on doing little to worry Westwood in the visiting goal. 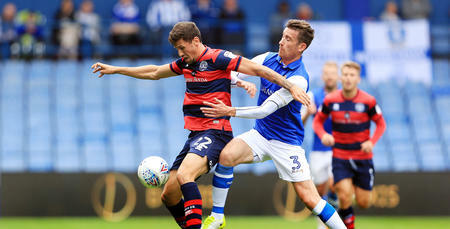 HIGHLIGHTS from QPR's 2-1 defeat against Sheffield Wednesday are now online.